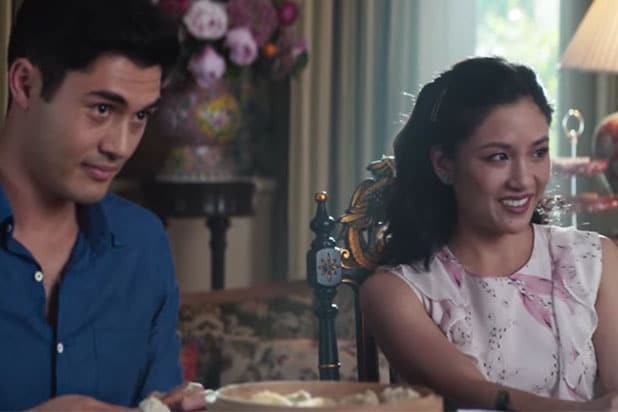 Critics are all in for “Crazy Rich Asians,” Jon M. Chu’s adaptation of the bestselling novel by Kevin Kwan. The film, which opens in theaters on Aug. 15, currently holds the highest possible score on Rotten Tomatoes at 100 percent. “Crazy Rich Asians” stars Constance Wu, Henry Golding, Michelle Yeoh, Gemma Chan, Awkwafina, Ken Jeong, Jimmy O. Yang and Chris Pang. It follows a New Yorker woman who travels to Singapore to meet her boyfriend’s family — who turn out to be extremely wealthy. Western movies about the Asian continent typically star an audience surrogate -- someone to whom the other characters can explain basic plot stuff for the sake of viewers. It's a pretty common trope in storytelling, but the way Hollywood often uses it in these types of movies is offputting for many people. That's because the surrogate is usually a displaced generic white guy who ends up becoming the main protagonist (like Matt Damon in "The Great Wall"). To illustrate why folks find this trope baffling, we've swapped the leads in several movies about European and American history with East Asian actors, mirroring the storytelling cliche that repeatedly inserts white people into East Asian history. If this makes you feel weird, good -- that means you get it. Art by TheWrap's Jordan Burchette. Picture pretty much the same movie -- about a Roman general who's named Imperial Regent when Marcus Aurelius decides his own son isn't fit to become Emperor. Except we'll have an extended prologue about Chow's character walking 8,000 miles to Rome from southern China and quickly winning everyone's respect with his mad-but-exotic fighting skills. But there's still some racial tension. This is more or less how all "white people in Asia" movies start. Like "Gladiator," this version of "The Patriot" is mostly the same, but with a new backstory for the lead plus some racial tension: Watanabe plays a Japanese sailor whose ship was caught in a storm that sent it drifting across the Pacific Ocean, eventually reaching the California coast. He then makes his way east, collecting a wife and making some children along the way, stumbling into the French and Indian War. He helps out the British, winning their respect with his mad-but-unorthodox skill with an exotic weapon called a katana. Then, after this prologue montage, it's otherwise just the same movie as before. This mid-20th century "American Dream" fairy tale takes on a whole new meaning when, instead of being about some dimwitted white boy from Alabama, it follows a Chinese tourist looking get the full American experience: playing college football, going to war in Asia, accidentally investing in Apple in the '70s, watching his mother die for lack of good healthcare options, and settling down with the cool rebel girl who's found Jesus and stopped doing drugs. Chan plays Davy Crockett, King of the Wild Frontier. The only change to the story would be the racial slurs white people sling in Davy's direction -- but like totally in a friendly way, like white people do. What if the real hero of the Cuban Missile Crisis was not the made-up white BFF of the Kennedy brothers but instead the made-up Chinese diplomat BFF of the Kennedy brothers? They're longtime drinking buddies, and it's up to Andy Lau to make sure the Kennedys didn't accidentally initiate global thermonuclear war. This would have ramped up the tension considerably, with the Joint Chiefs steaming extra hard and whining about that interloper (by way of racial slurs). Having been captured by the Persians during a border skirmish on the eastern side of the Persian Empire -- this brave warrior managed to escape west, where he hooked up with the Spartans and taught them some cool exotic fighting techniques. These new unorthodox techniques come in handy when the Persian Empire comes calling -- thanks to this warrior from the Far East, 300 Spartans are able to hold off the invaders while the bulk of the Greek forces retreat at the legendary Battle of Thermopylae. A wandering Chinese warrior is exiled from his home after, I don't know, being framed for crimes he didn't commit. He ends up landing in Scotland and helping the locals rebel against the oppressive rule of the English. Can this half-Japanese blacksmith, who's made his way to the Levant in the mid-12th century after discovering that Liam Neeson is his real father, help bring some kind of understanding between the Christian Crusaders and the Muslim forces of Saladin before one side wipes out the other? 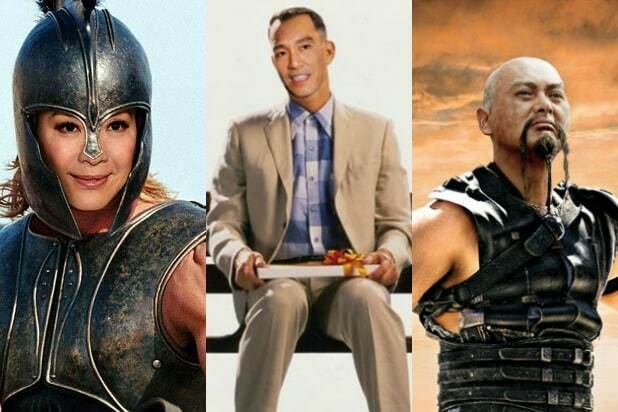 I think Michelle Yeoh would make a fine Achilles, personally.